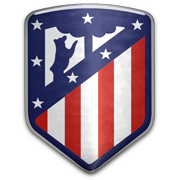 After suffering a 3-1 loss to Real Madrid, Atletico Madrid will be aiming to return to winning ways in La Liga when they take on yet another local rival Rayo Vallecano at Estadio de Vallecas. Los Rojiblancos aim to stay in the race for the title and we are positive that they are going to adopt an attack-minded approach in Saturday’s football match. Alvaro Morata had a goal disallowed for offside in the Madrid derby, meaning that he will give 100% to open his goal-scoring account against los Vallecanos. Rayo failed to impress in back-to-back defeats to the likes of Leganes and Espanyol and seeing that Diego Simeone’s team do not suit them, we are tempted to put our money on the visitors. In their last meeting at Estadio de Vallecas in La Liga Atletico Madrid recorded a 2-0 win over Rayo Vallecano.